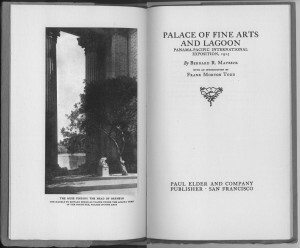 One of Paul Elder’s most collectible titles, Palace of Fine Arts and Lagoon (1915) has often been described as Bernard Maybeck’s only book. 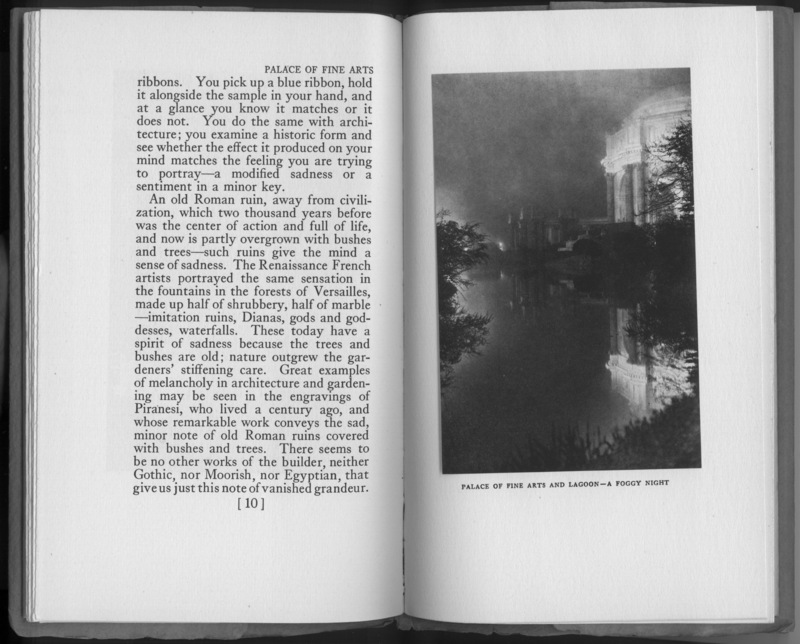 It is a slim volume though, coming in at just 24 pages. 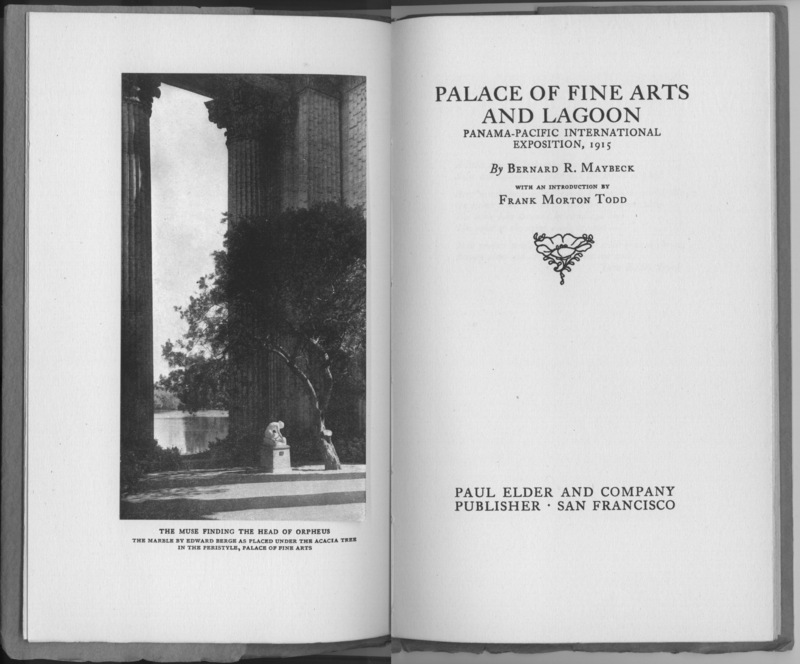 In it Maybeck describes his approach to designing the Palace of Fine Arts, perhaps his most recognizable building and the only surviving structure from the 1915 Panama-Pacific International Exposition. The text is a revised version of a speech that Maybeck gave to the Commonwealth Club of California. 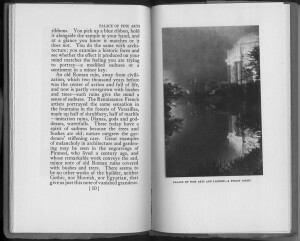 The introduction by Frank Morton Todd, official historian of the Exposition, is as florid and grandiose as Maybeck’s speech is thoughtful and subdued. 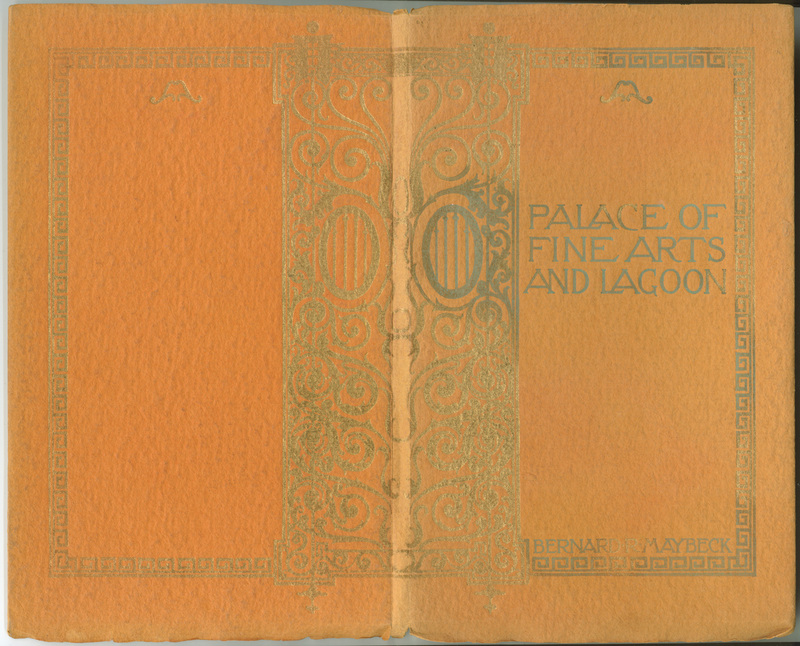 In addition to the orange wraps shown below, this title was also issued in a deluxe version with gilt-embossed dark-green leather over boards. 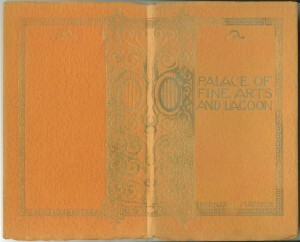 Cover, "Palace of Fine Arts and Lagoon"